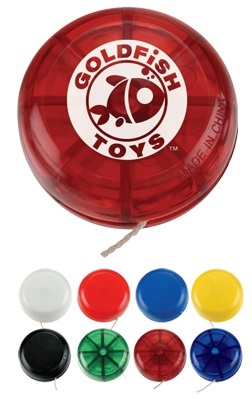 By giving people a customized Yo-Yo with your personalized message or Logo, you are bringing them back to a happy time in their childhood that they will associate with your brand. Give us a call 706-374-0710 for a FREE quote and to put our years of promotional and advertising experience to work for you. Psalm 68 Let God arise, let his enemies be scattered: let them also that hate him flee before him. 2 As smoke is driven away, so drive them away: as wax melteth before the fire, so let the wicked perish at the presence of God. 3 But let the righteous be glad; let them rejoice before God: yea, let them exceedingly rejoice. 4 Sing unto God, sing praises to his name: extol him that rideth upon the heavens by his name JAH, and rejoice before him. 5 A father of the fatherless, and a judge of the widows, is God in his holy habitation. 6 God setteth the solitary in families: he bringeth out those which are bound with chains: but the rebellious dwell in a dry land. 7 O God, when thou wentest forth before thy people, when thou didst march through the wilderness; Selah: 8 The earth shook, the heavens also dropped at the presence of God: even Sinai itself was moved at the presence of God, the God of Israel. 9 Thou, O God, didst send a plentiful rain, whereby thou didst confirm thine inheritance, when it was weary. 10 Thy congregation hath dwelt therein: thou, O God, hast prepared of thy goodness for the poor. 11 The Lord gave the word: great was the company of those that published it. 12 Kings of armies did flee apace: and she that tarried at home divided the spoil. 13 Though ye have lien among the pots, yet shall ye be as the wings of a dove covered with silver, and her feathers with yellow gold. 14 When the Almighty scattered kings in it, it was white as snow in Salmon. 15 The hill of God is as the hill of Bashan; an high hill as the hill of Bashan. 16 Why leap ye, ye high hills? this is the hill which God desireth to dwell in; yea, the LORD will dwell in it for ever. 17 The chariots of God are twenty thousand, even thousands of angels: the Lord is among them, as in Sinai, in the holy place. 18 Thou hast ascended on high, thou hast led captivity captive: thou hast received gifts for men; yea, for the rebellious also, that the LORD God might dwell among them. 19 Blessed be the Lord, who daily loadeth us with benefits, even the God of our salvation. Selah. 20 He that is our God is the God of salvation; and unto GOD the Lord belong the issues from death. 21 But God shall wound the head of his enemies, and the hairy scalp of such an one as goeth on still in his trespasses. 22 The Lord said, I will bring again from Bashan, I will bring my people again from the depths of the sea: 23 That thy foot may be dipped in the blood of thine enemies, and the tongue of thy dogs in the same. 24 They have seen thy goings, O God; even the goings of my God, my King, in the sanctuary. 25 The singers went before, the players on instruments followed after; among them were the damsels playing with timbrels. 26 Bless ye God in the congregations, even the Lord, from the fountain of Israel. 27 There is little Benjamin with their ruler, the princes of Judah and their council, the princes of Zebulun, and the princes of Naphtali. 28 Thy God hath commanded thy strength: strengthen, O God, that which thou hast wrought for us. 29 Because of thy temple at Jerusalem shall kings bring presents unto thee. 30 Rebuke the company of spearmen, the multitude of the bulls, with the calves of the people, till every one submit himself with pieces of silver: scatter thou the people that delight in war. 31 Princes shall come out of Egypt; Ethiopia shall soon stretch out her hands unto God. 32 Sing unto God, ye kingdoms of the earth; O sing praises unto the Lord; Selah: 33 To him that rideth upon the heavens of heavens, which were of old; lo, he doth send out his voice, and that a mighty voice. 34 Ascribe ye strength unto God: his excellency is over Israel, and his strength is in the clouds. 35 O God, thou art terrible out of thy holy places: the God of Israel is he that giveth strength and power unto his people. Blessed be God.